New to doodling, or looking for ways to create perfect 3D forms?the 3Doodler create canvas series is a range of unique white and translucent 3-dimensional canvasses that allow for amazing creative customized doodles. Creators can add their own crafty touch to otherwise plain items for amazing visual effect and to serve as a delightful addition to any home decor. there are four unique canvas kits available including a Super cute gnome for home or garden, a day of the Dead skull for the mantlepiece, a set of 3 modern, sleek vases, or a set of useful hexagonal keepsake boxes. Are you looking for useful doodles that hold water, flowers, special keepsakes or just pure decorative punch for indoor or outdoors.each kit contains: 1 canvas, 2 packs of (50 strands) ABS plastic in a range of themed colors. This kit does not include a 3Doodler create pen. Pick a canvas to suit your style: a Super cute gnome for home or garden, a day of the Dead skull for the mantelpiece, a set of 3 modern, sleek vases, or a set of useful hexagonal keepsake boxes. Are you looking for useful Doodles that hold water, flowers, special keepsakes or just Pure decorative punch for indoor or outdoors. 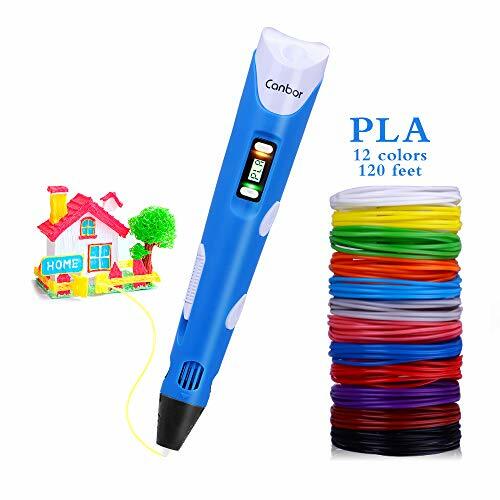 Designed for anyone with a 3Doodler create: the 3Doodler create extrudes heated plastic, which instantly hardens, allowing you to literally draw in 3D, freehand or on paper. Change colors quickly and easily. The possibilities are endless. 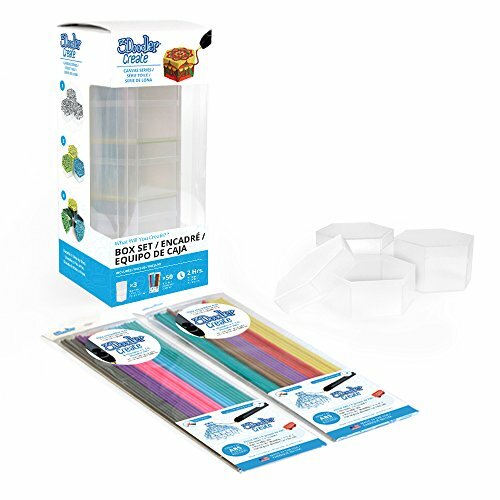 Each kit includes: canvas, 2 packs of plastic (50 strands) ABS plastic in a range of colors!! this kit does not include a 3Doodler create pen. PRO 3D PRINTER WITH LARGE PRINT AREA: With a generous print volume (220x220x260mm), XY-2 offers amazing print quality, making it one of the best 3D printers for professional use. XY-2 is incredibly reliable when it comes to producing 3D models, and the accuracy of the 3D replications is incredibly impressive. 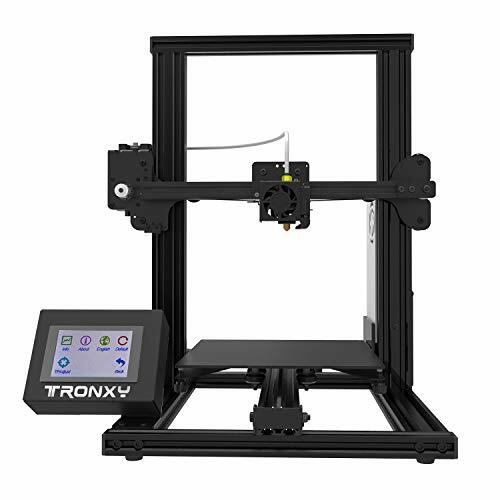 If you need a 3D printer that can reliably reproduce many 3D objects accurately, TRONXY XY-2 is a fantastic choice. 4 STEP INSTALLATION: The XY-2 3D printer is one of the best quality desktop 3D printers on the market. It arrives at your doorstep 99% pre-assembled and calibrated, complete with a toolkit, unpacking guide, and step-by-step manual. Customer only needs 4 step to finish the rest installation in few minutes, making maintenance super easy. FULL COLOR LCD CONTROLLER: This affordable LCD 3D printer with full-color LCD controller touch screen is truly a great tool – it allows you to view and select files easily, making your printing process run all the more smooth. The recommended layer height is between 0.1-0.4 mm and can achieve print speeds of up to 100mm/s. WIRELESS PRINTING: Features wireless printing through an SD Card with a diverse, multi-faceted graphic LCD controller – Never get caught up in wires again! With the ability to print via your SD Card, you now have the liberty to move about with your computer while your 3D printer works. SAFE 3D PRINTING: XY-2 owes its reliability to a solid steel frame and aluminum construction, giving it precise print quality. It also features a heated platform for printing in both PLA and ABS, and utilizes a wide range of materials ranging from common thermoplastics to Flexibles and more.